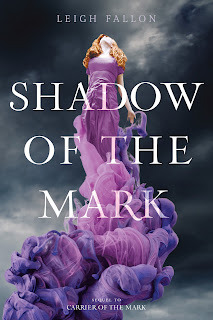 The Best Books Ever: Shadow of the Mark by Leigh Fallon Cover Reveal and Giveaway! Shadow of the Mark by Leigh Fallon Cover Reveal and Giveaway! Life for Megan Rosenberg just got a lot more complicated. While she evoked the air element, and her feelings for Adam intensified, a web of lies, deceit, and betrayal has been spun around her. With the Order tightening its hold, and the reinstatement of the Mark Knights, Megan has more questions than answers as the Marked Ones grow in strength. New people arouse suspicion, the DeRises start behaving strangely, and Megan begins to unravel a destiny shrouded in mystery. It?s a destiny the Order has struggled to hide, and a destiny someone from the past?far in the past, has already laid claim to. I know, there's no mistaking it. This is definitely a Carrier Series cover, but that was the intention. 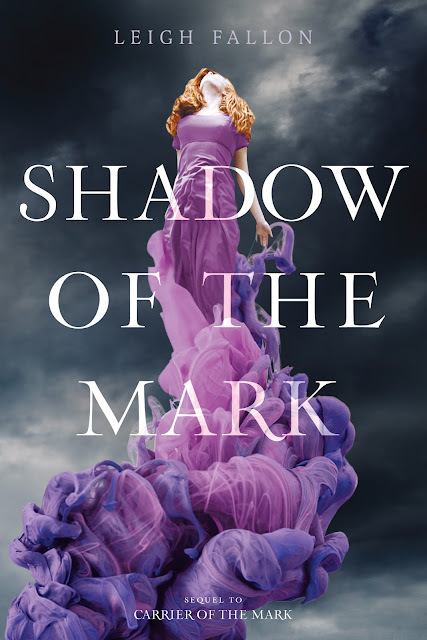 After the amazing reception to the cover of Carrier of the Mark, HarperCollins wanted Shadow's cover to be instantly recognizable. And it is, but the new darker color palette reflects the darker tone that this installment brings, and the pink and purple really make it pop. I love it and think HarperCollins has done another amazing job. I hope you like it too. I started out life in South Africa. A year later my parents moved home to Dublin, Ireland. When I was older and realized my parents had moved me from exotic Durban, to sedate Rathfarnham, Dublin 16, I was rightly ticked off. Giving up lions for sheep, I grew up in the foothills of the Dublin Mountains where I went to a convent school and had to contend with uniforms, gabardines, and nuns. When not dodging the beady glare of the Sisters of Mercy, I was devouring every book I could get my hands on. I traveled all over Europe while working in banking and treasury, but I gave up my calculator in favor of a keyboard and haven?t stopped writing since. My first book, Carrier of the Mark, was published by HarperTeen in 2011. Want to win a copy of Shadow of the Mark? I love the cover. The girls dress is beautiful and otherworldly. The dark story sky foreshadows danger in the story, and the girl placed high in the sky shows a paranormal element to the story. Love the cover! It's beautiful! Wow is all I can say. Some of my friends are digging it as well after I've shown them.